If there is one thing that I love it is natural indoor plants on cool indoor plant stands. They bring a home alive with natural green and healthy beauty. The coolest luxury homes integrate nature using unique, artistic, and stylish plant ideas. While a potted flower plant is great, there are many ways to make the same plant into an impact statement. How? Well I a glad that you asked! 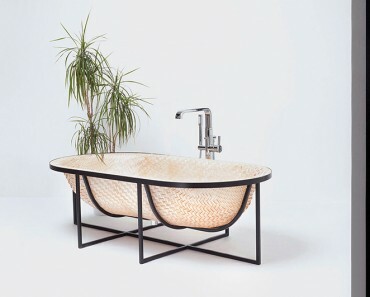 We love this plat stand because of its simplicity. 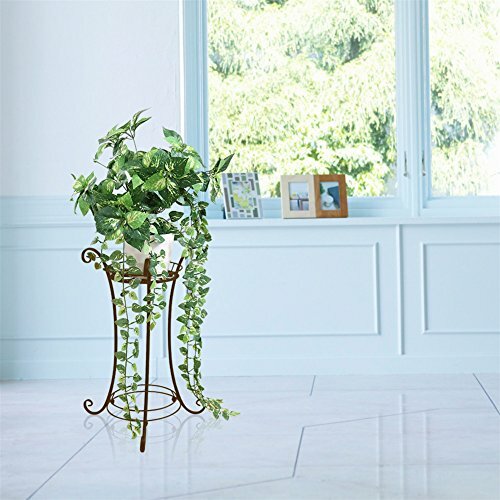 The marble floor and natural lighting makes this classic plant stand uniquely tasteful with a white light colored flower pot. 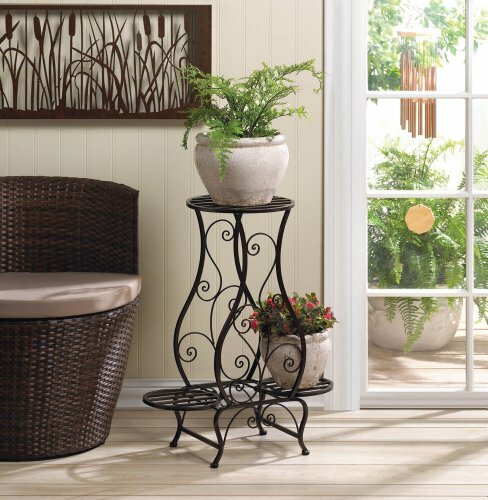 At a little less than two feet in height, this plant stand is very elegant. The bronze color is quite unique and attractive. It does not really stand out in the image above, but the color is why this particular model made it to the top of our list of cool indoor plant stands. While not exactly plant stands, these plant hangers really caught my eye. These remind me of natural chandeliers. They hold two plants vertically and are hand made from natural Jute material. 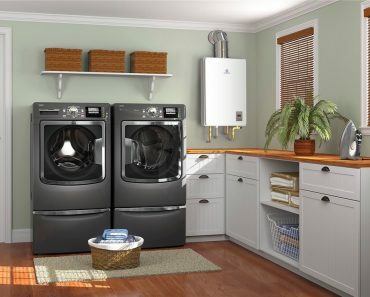 I love the look of a single plant hanger in the corner of a naturally lit room. 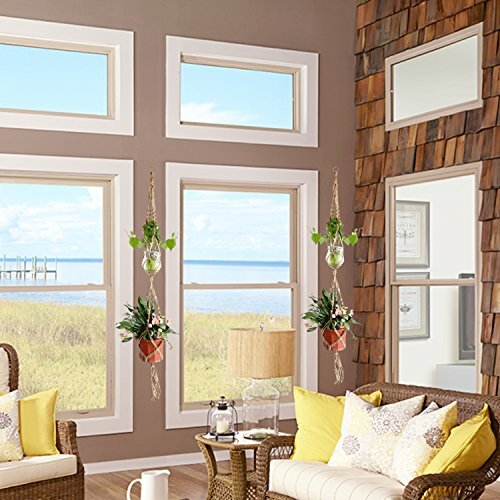 I also like the look of two of these plant hangers on either side of a large window (as pictured). 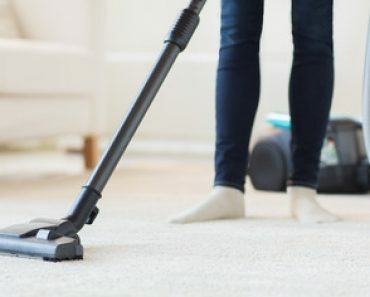 So, what is Jute? Jute is the fiber from the tropical Old World plant. This fiber is spun into course threads that can be used to make twine, fabric, or in this case… a natural plant hanger. I have always been partial to stair step planters since growing up I remember a potted plant on each of the steps going up to my house. This 3 step stair step metal plant stand reminds me of the classical look of Santa’s sleigh with its curved and sweeping metal design. I think that this look is great for a foyer that has natural lighting and it even looks good on a well designed patio. The wooden platforms are good for bucket style plant pots as shown in the picture above. 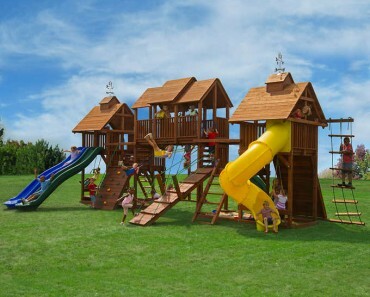 This round staircase style of looks great. It looks even better when there are four healthy green planters – one on each step. There is not much to say about this plant stand except that it is incredibly elegant and looks great in a living area, foyer, or library. The cast iron stand is quite heavy and sturdy. I can see in my children’s eyes that they would love to climb on this plant stand if I would just take the flower pots and put them somewhere else. 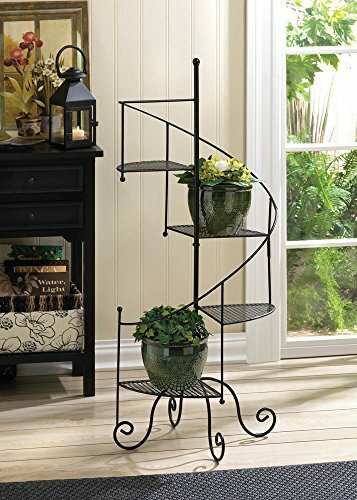 This Multi Tiered Iron Flower Plant Holder Stand is another elegant piece that fits well in any room that has natural lighting. This plant stand holds 3 flower pots, but it looks better with just two as pictured above. As you probably can tell, I love curved metal designs in plant stands. 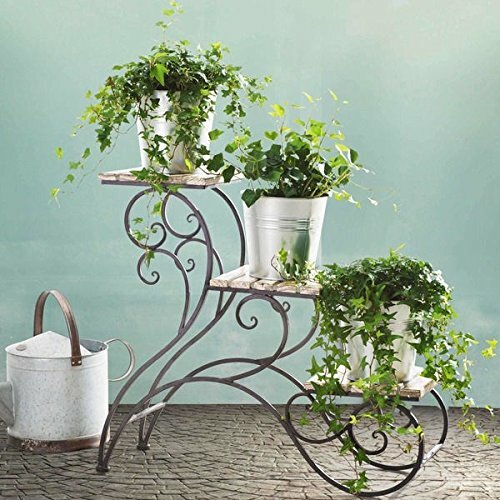 I think that simple elegant iron stands are wonderfully attractive for green potted plants. 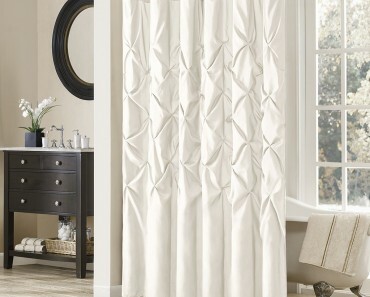 This four legged design is quite unique and looks great in any luxury home! We will keep adding pieces to our list of cool indoor plant stands as we come across them. If you have any recommendations, please comment below! We would love to hear from you.